clowns, magicians, jumping castles etc. We offer everything from colourful themed (Ben 10, Spiderman, Barbie girl etc) cakes, party packs, banners, posters, snacks, main meals, cups, accessories, party decor to tables and chairs, even online photo albums and portraits. 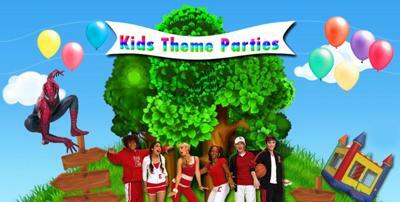 We at Kids Theme Parties give parents peace of mind when it comes to planning their kids special day / weekend. Contact us now! We do soft serve ice lollies. If you want i can send you samples to taste and maybe you can use it in your party packs.